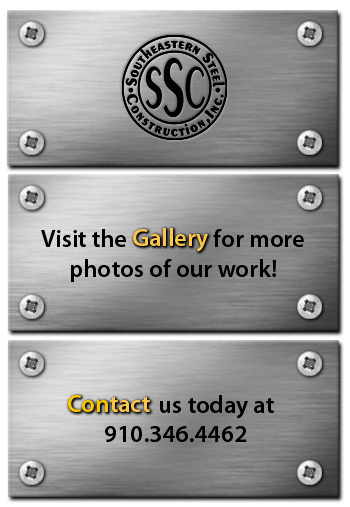 Welcome to Southeastern Steel Construction Inc.
Southeastern Steel Construction, Inc. is a full service structural and miscellaneous steel fabricator and erection company. We offer a full line of services for all your fabrication needs. Our services include, but are not limited to: structural steel, joist and decking, stairs, rails, ladders, anchors and fasteners, pipe bollards, stainless materials, non-ferrous fabrication, non-corrosive fabrication and everyday needs for builders and the general public. We proudly provide services to public and private sectors to include government contracts. We offer excellent performance, within budget, on time, and safely to each and every customer and contractor.